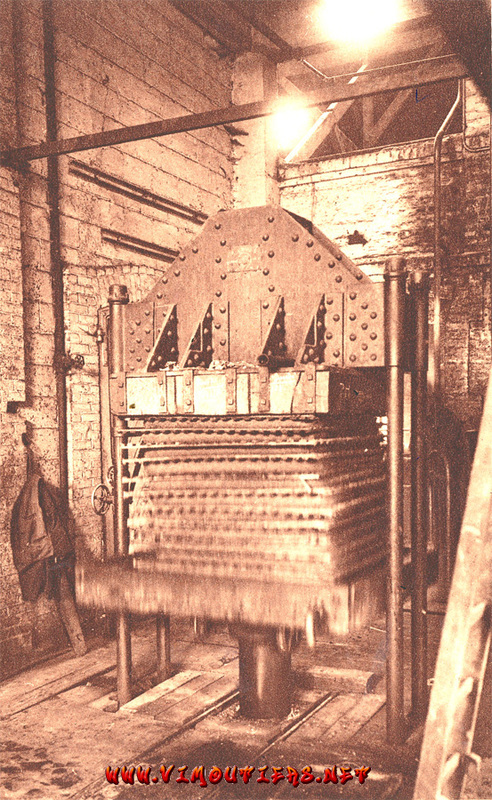 "Eat an apple going bed makes the doctor beg his bread"
"Founded in 1919 by George Anée, who trusted in the "apple treasure" and its transformation, the Enterprise started with two horses and a traditional apple press. 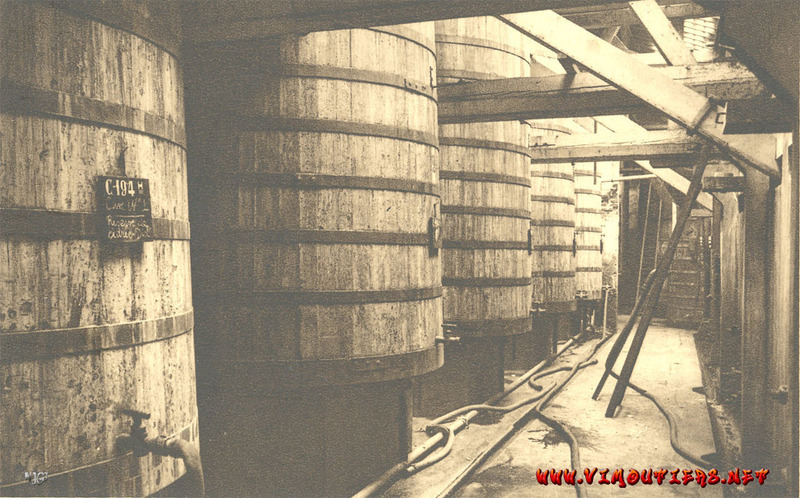 In 1930, it employs about a hundred people and produces ciders and calvados/apple jack made with apples from Vimoutiers and Pays d'Auge around. 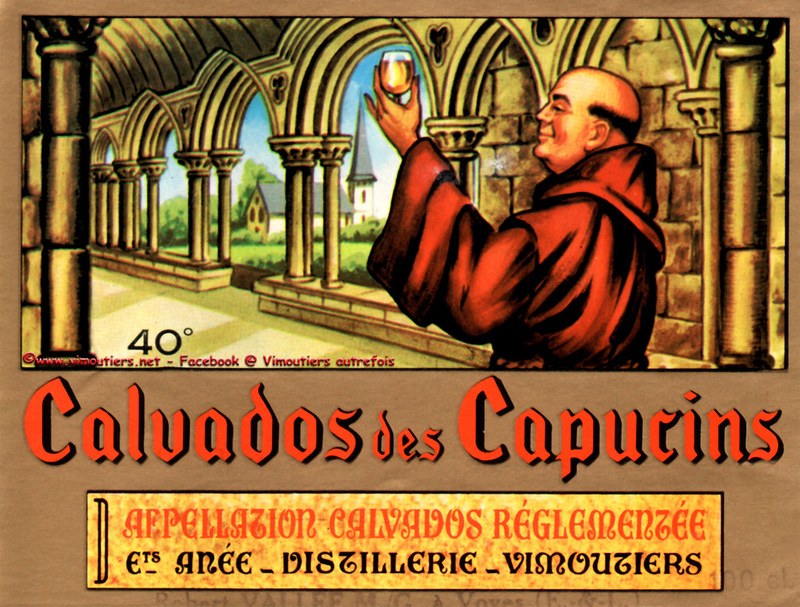 The war momentarily stops the calvados production but not the cider production. 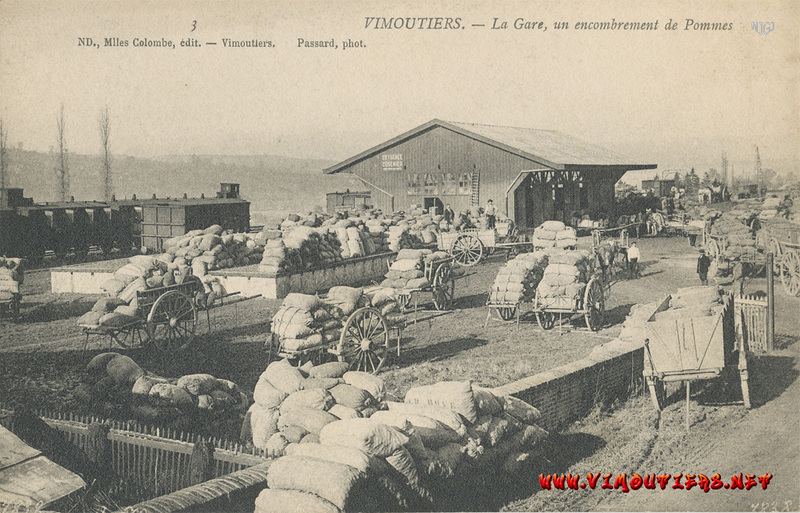 Settled in the very center of Vimoutiers, the factory is bombed out in 1944 and 22 employees are killed. 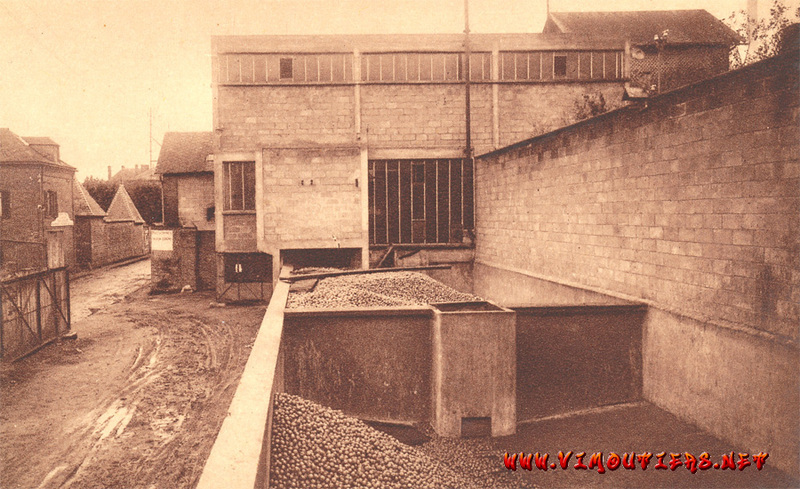 Rebuilt, modernized and automated, it then produces 60 hectolitres of alcohol bought by the Government Administration ... but from 1960 , the Government stops producing its alcohol and many apple trees are uprooted in order to limit the production. Nevertheless, it does not stop the production of the enterprise which grows up by buying another cider manufactory in Mesnil Mauger. In those days, the whole town would smell of apple in automn. Investments constraints due to new pollution regulations and so on, become too important and thus, the manufactory is sold in 1989, then definitely closed in 1995. 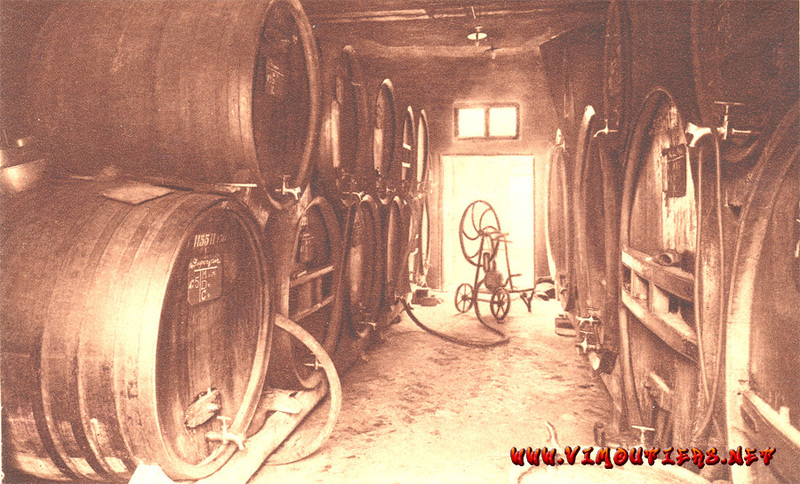 Aparté : By the same times, some people used to make their home-made cider and have apples pressed directly in the back streets of Vimoutiers. 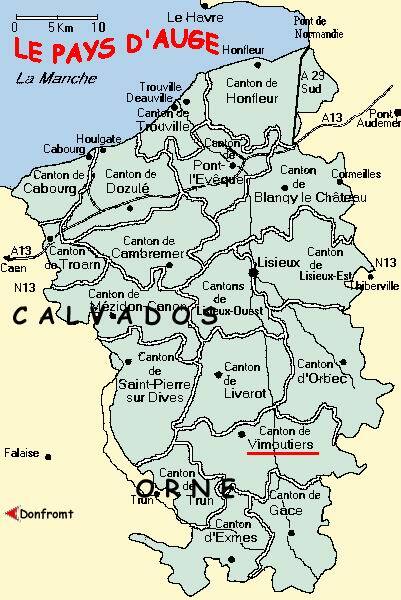 *Source : Extraits de la Revue Le Pays d'Auge 06-2007, "d'après un entretien avec Michel Anée"